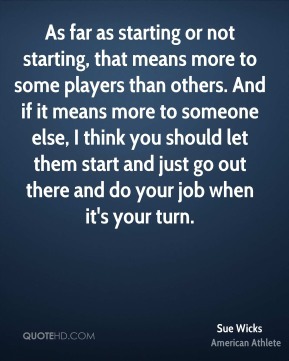 As far as starting or not starting, that means more to some players than others. And if it means more to someone else, I think you should let them start and just go out there and do your job when it's your turn. For me, being a starter doesn't matter. 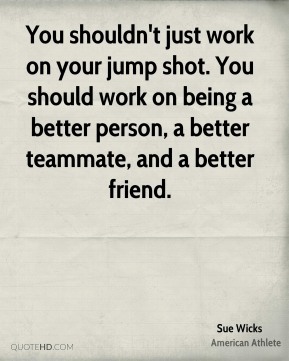 Of course, I'd like to be in at the end of the game, to be a big part of the team, and to play as many minutes as I can play. 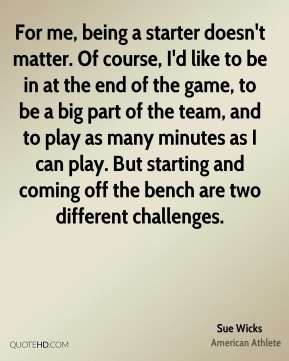 But starting and coming off the bench are two different challenges. For me, the money isn't a big issue. 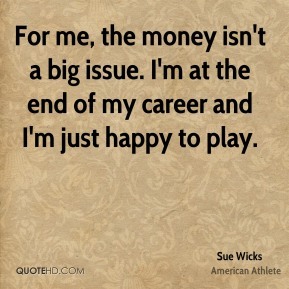 I'm at the end of my career and I'm just happy to play. I even believe if you're killing a team, you shouldn't stop. You should respect your opponents enough to play 100 percent the whole time. 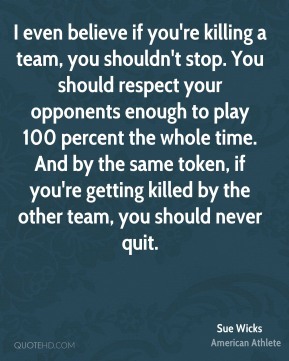 And by the same token, if you're getting killed by the other team, you should never quit. 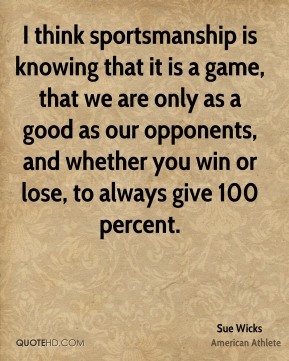 I think sportsmanship is knowing that it is a game, that we are only as a good as our opponents, and whether you win or lose, to always give 100 percent. 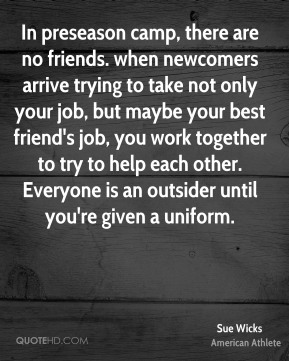 In preseason camp, there are no friends. when newcomers arrive trying to take not only your job, but maybe your best friend's job, you work together to try to help each other. Everyone is an outsider until you're given a uniform. 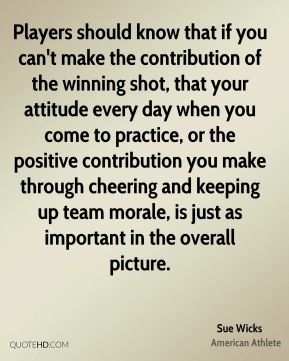 Players should know that if you can't make the contribution of the winning shot, that your attitude every day when you come to practice, or the positive contribution you make through cheering and keeping up team morale, is just as important in the overall picture. 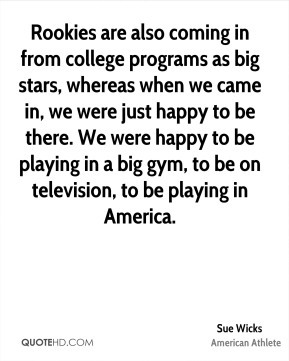 Rookies are also coming in from college programs as big stars, whereas when we came in, we were just happy to be there. We were happy to be playing in a big gym, to be on television, to be playing in America. 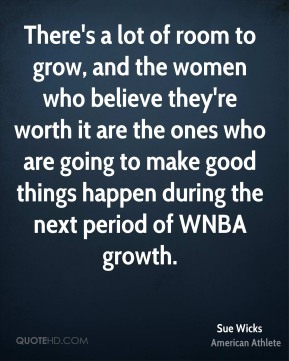 There's a lot of room to grow, and the women who believe they're worth it are the ones who are going to make good things happen during the next period of WNBA growth. There's lots of charity stuff that I can do. 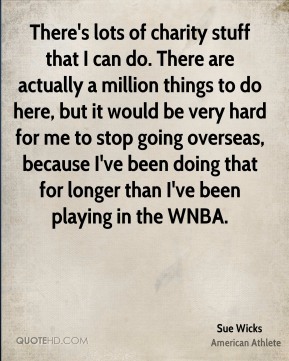 There are actually a million things to do here, but it would be very hard for me to stop going overseas, because I've been doing that for longer than I've been playing in the WNBA. When I see these young girls who are dreaming the dream that I'm living, it's very very exciting and it puts a big smile on my face. When I went to college, we had a very good local following, but stations only televised two or three NCAA games a season. And when I went to Europe, once in a while we had a good crowd, but usually not.